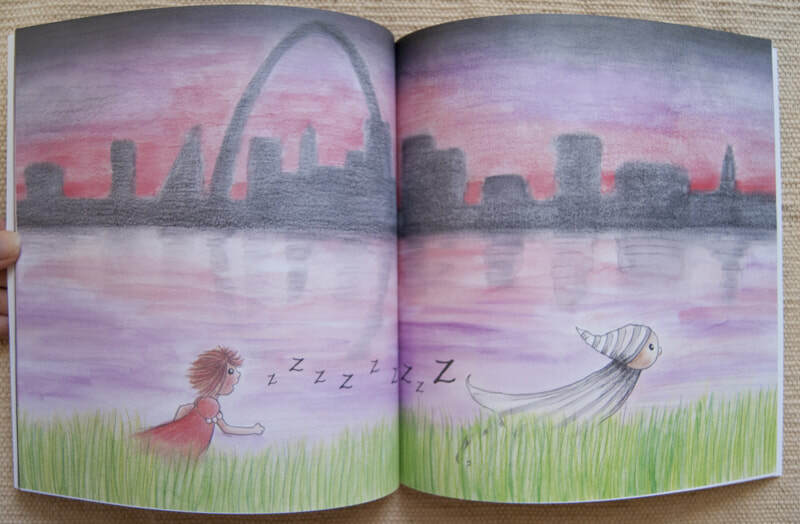 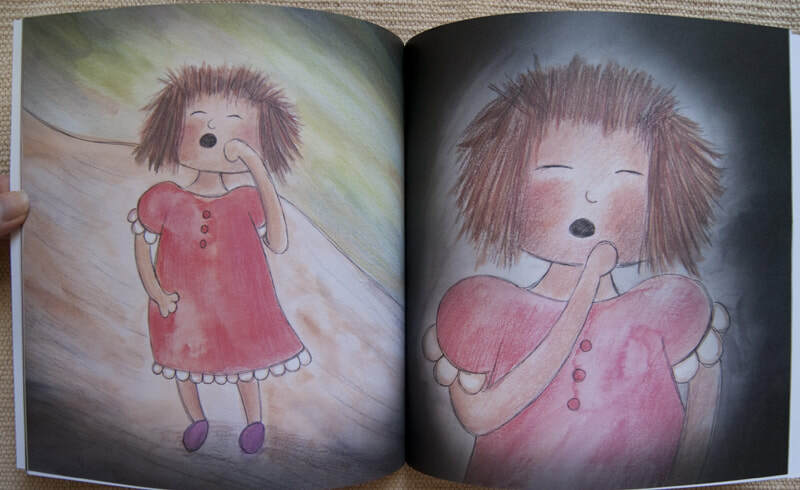 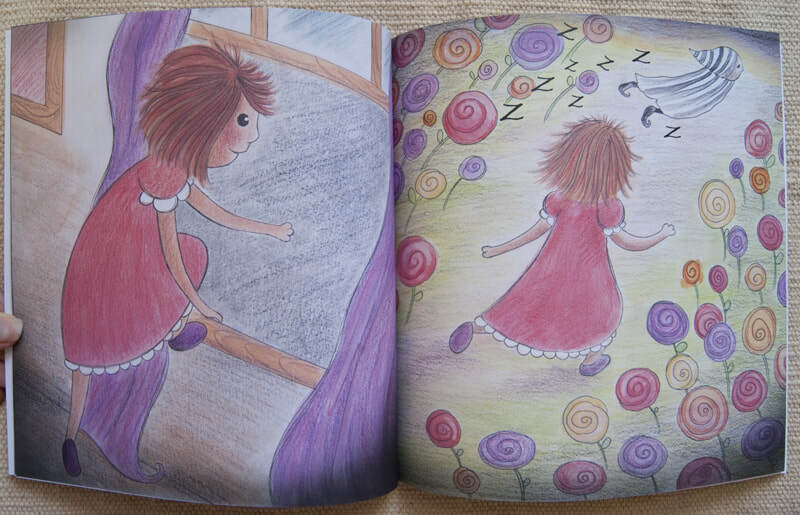 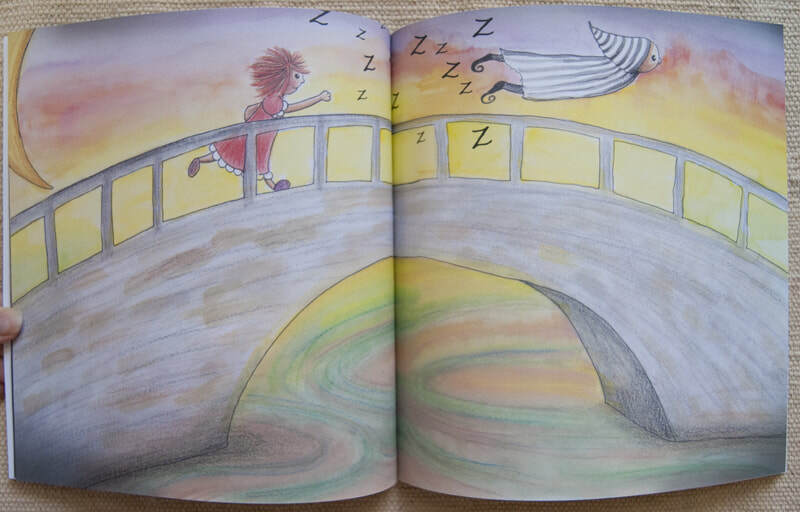 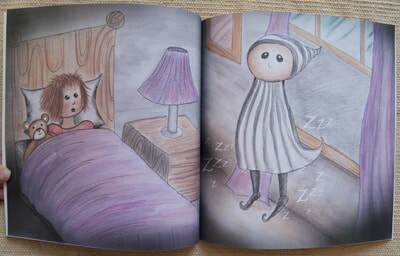 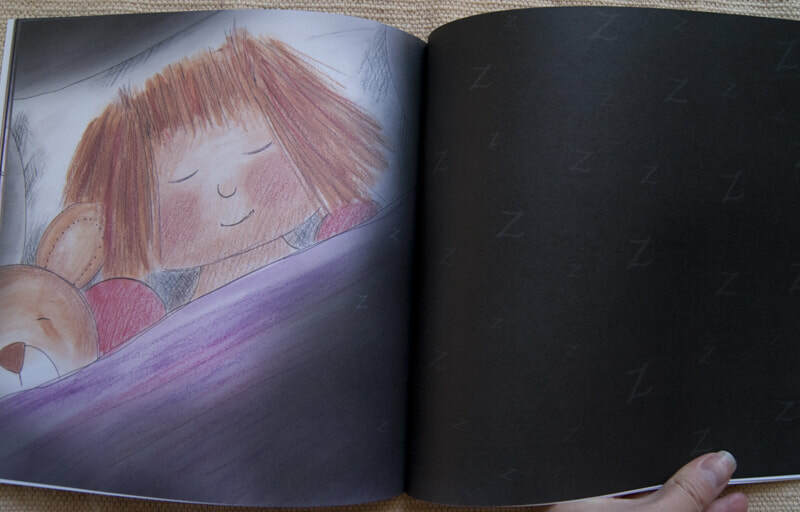 The Sleep Catcher is a captivating wordless tale about a young girl's quest to fall asleep.The book takes place in St. Louis and has pictures of many landmarks from our city. 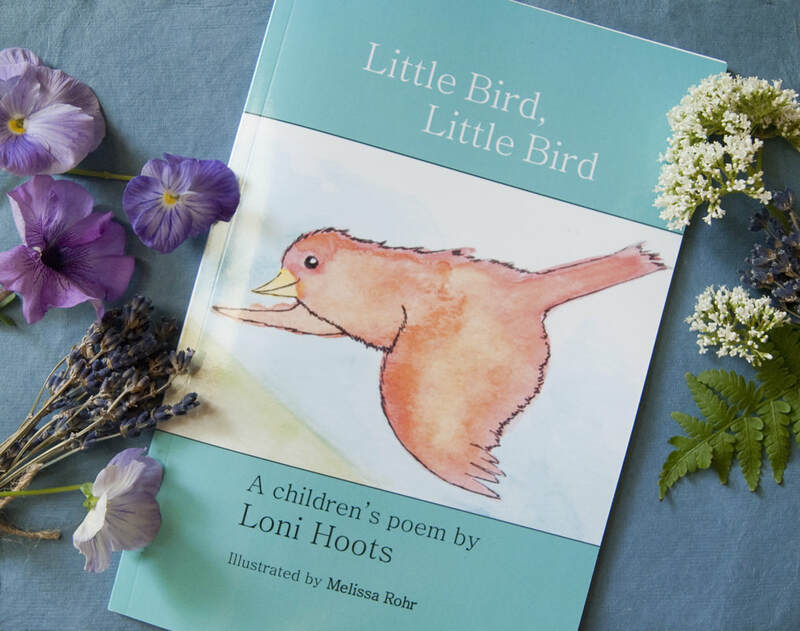 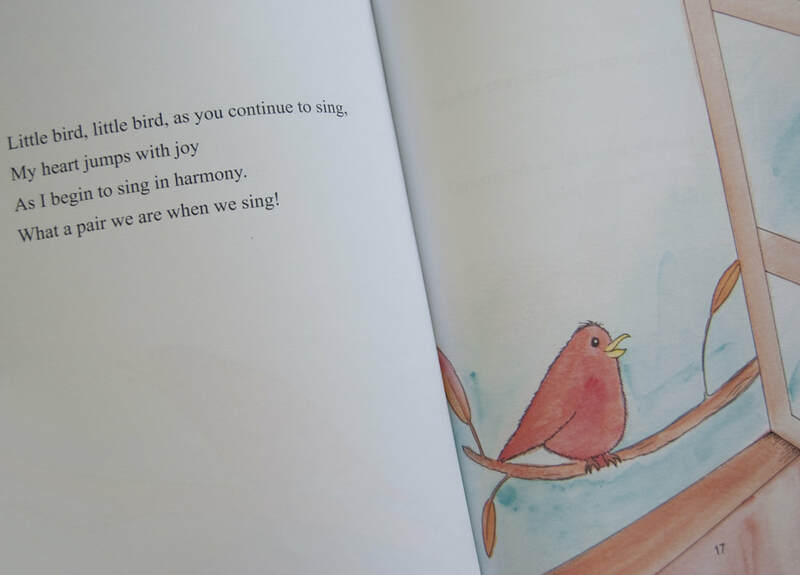 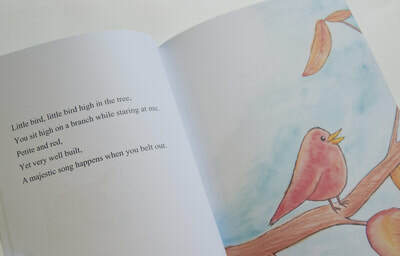 Little Bird, Little Bird is a sweet children's poem by Loni Hoots. 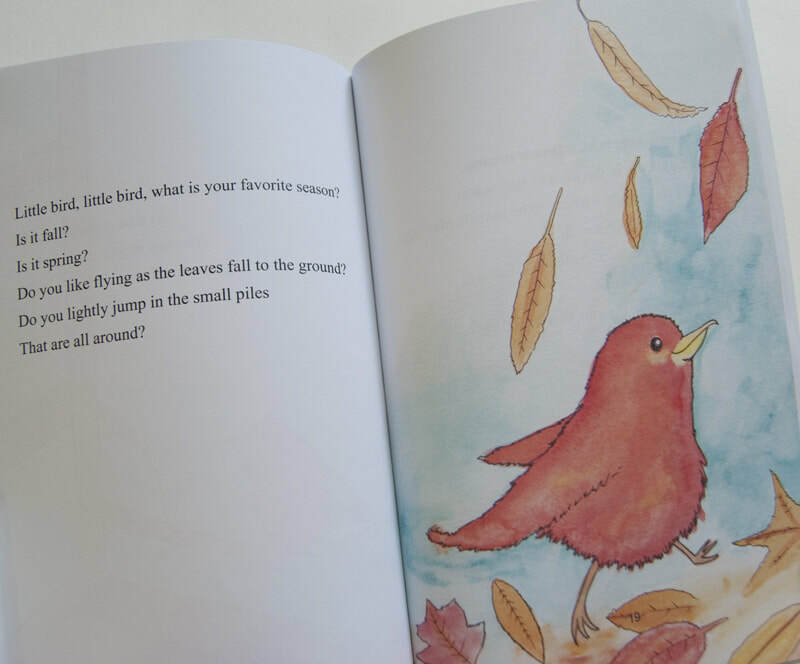 This bedtime story follows along with a little red bird and his adventures. 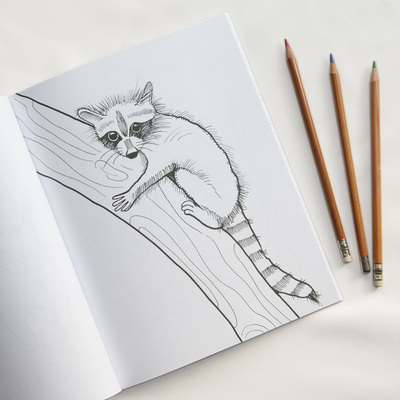 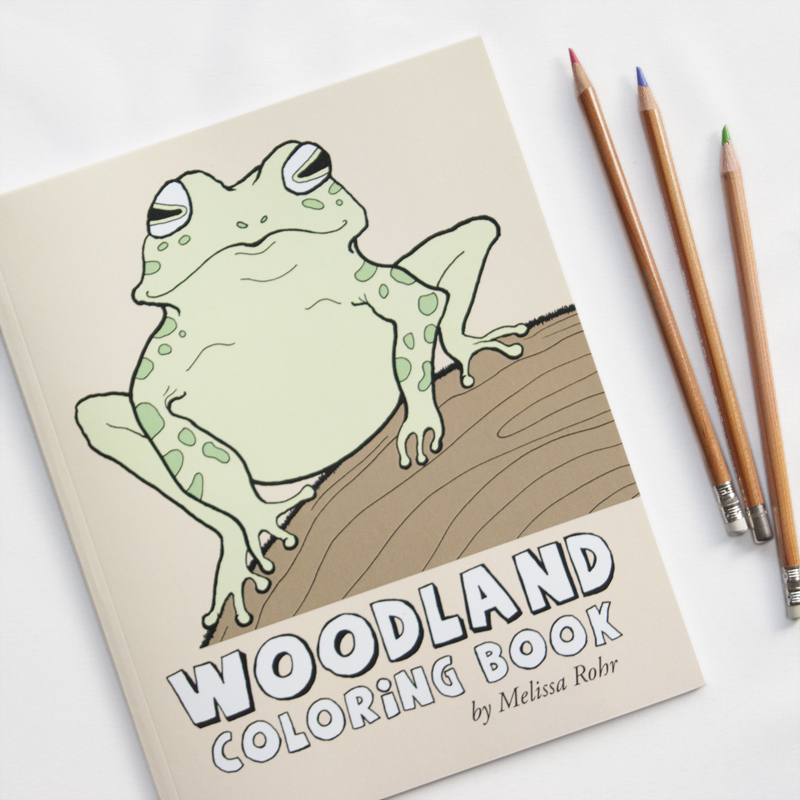 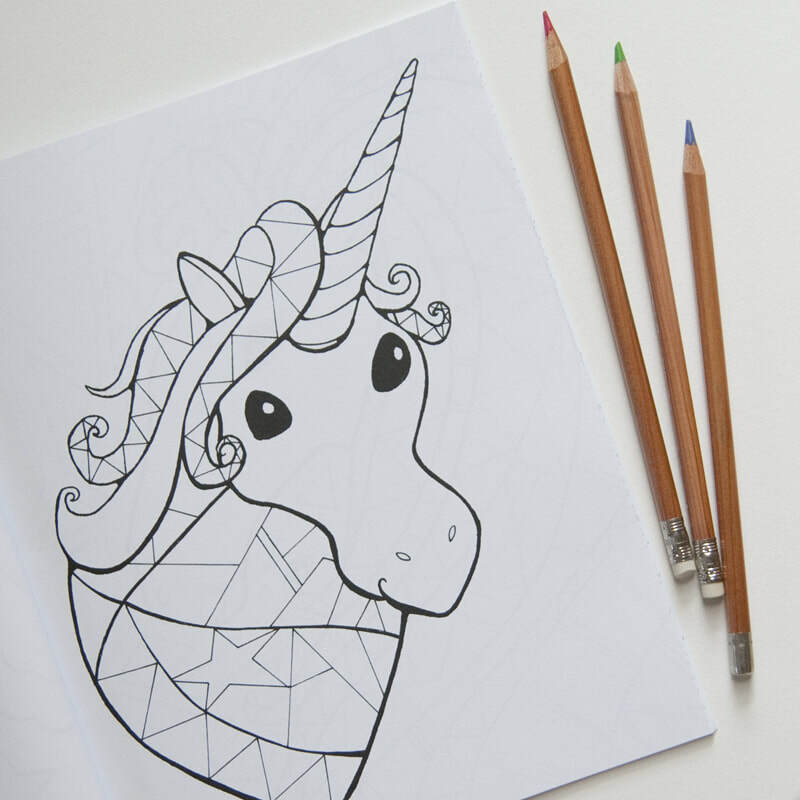 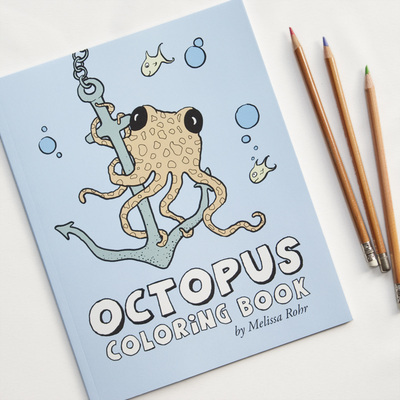 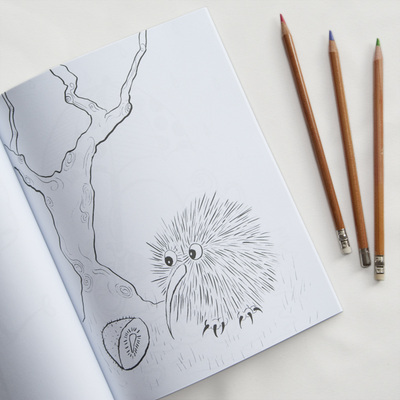 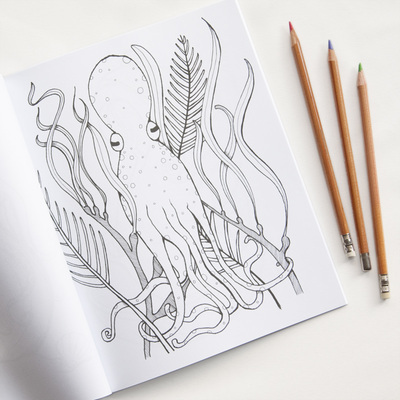 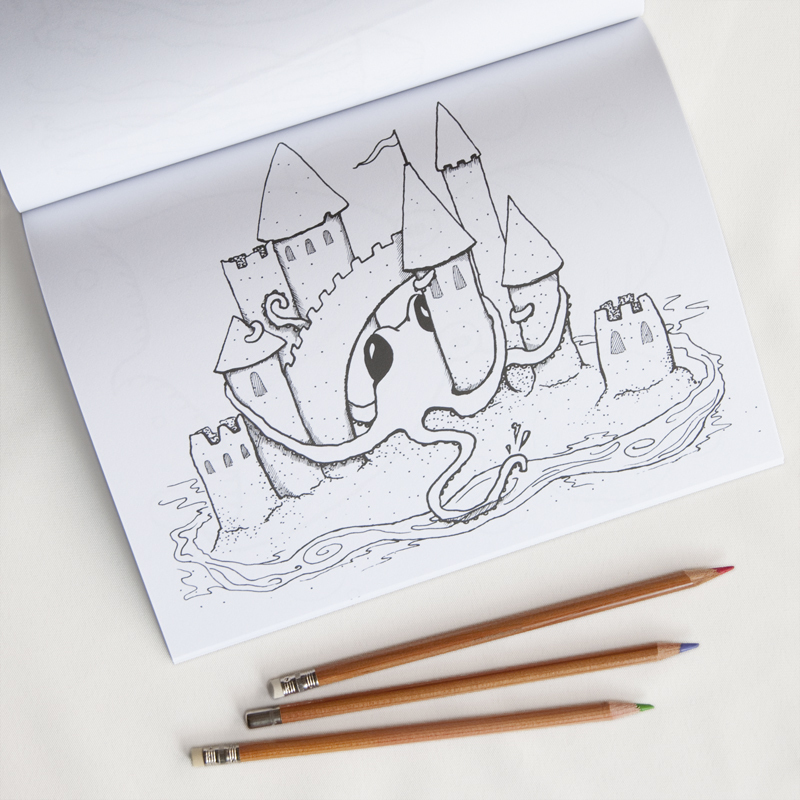 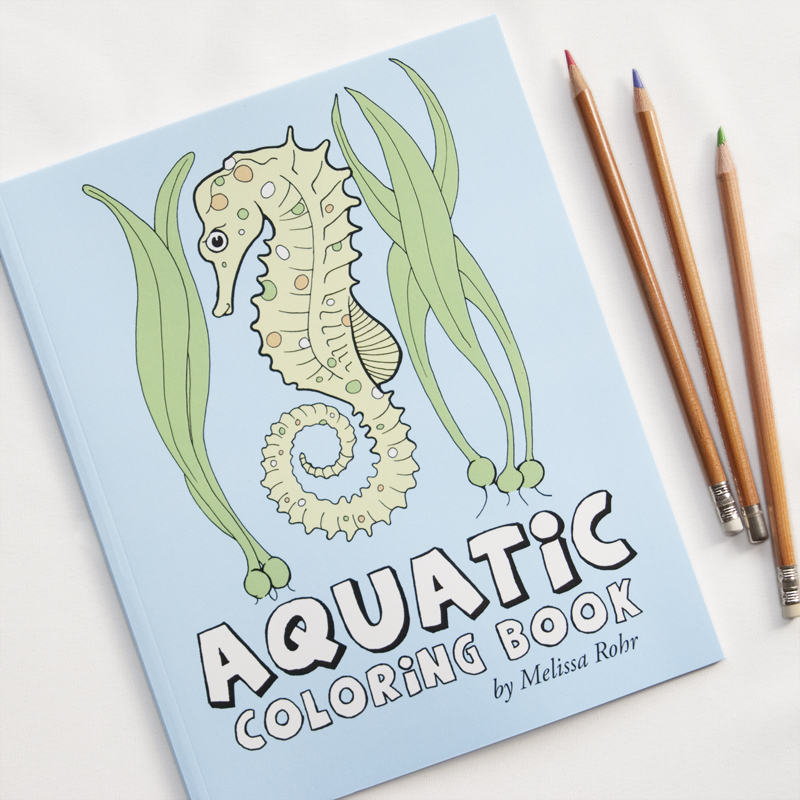 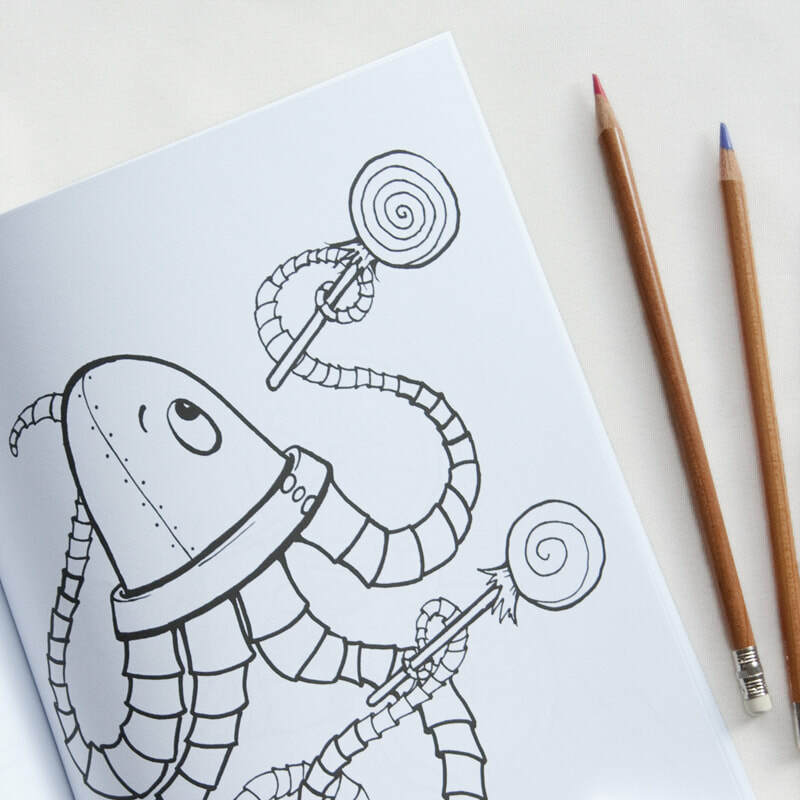 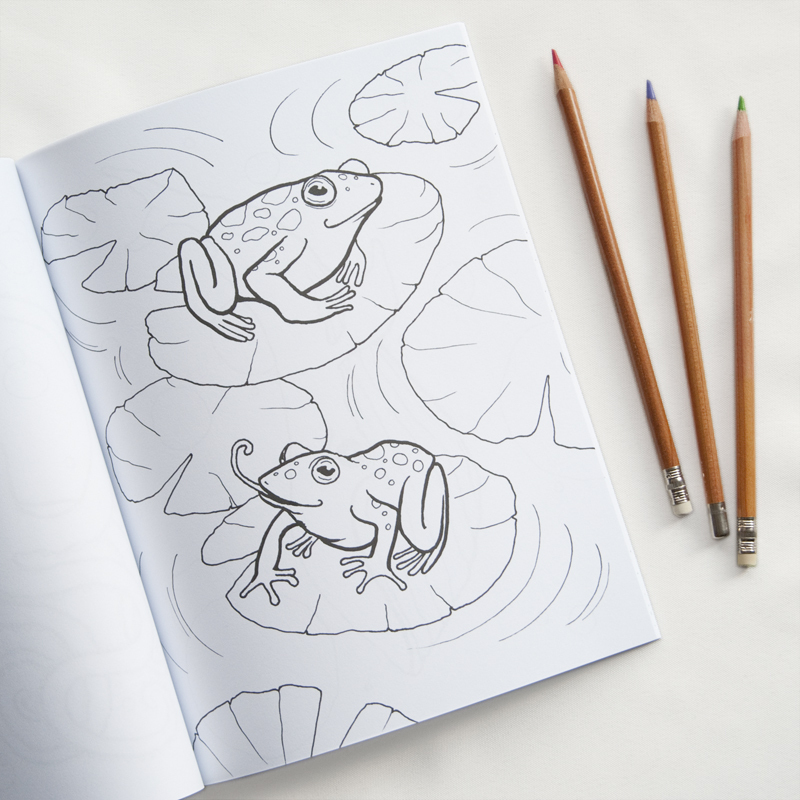 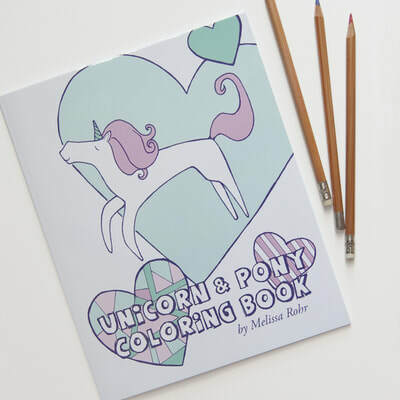 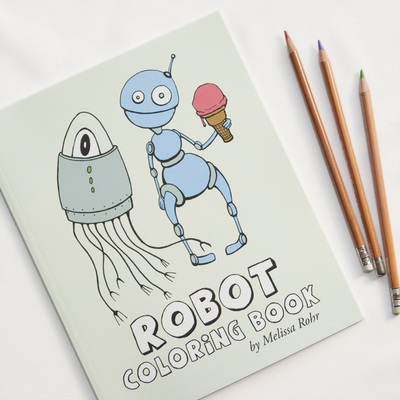 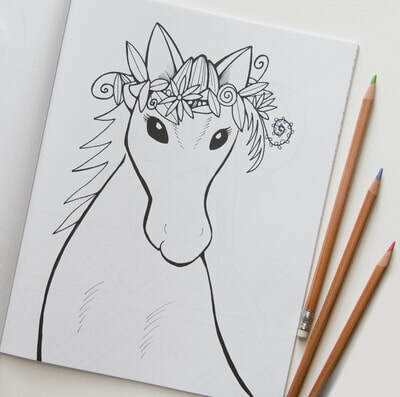 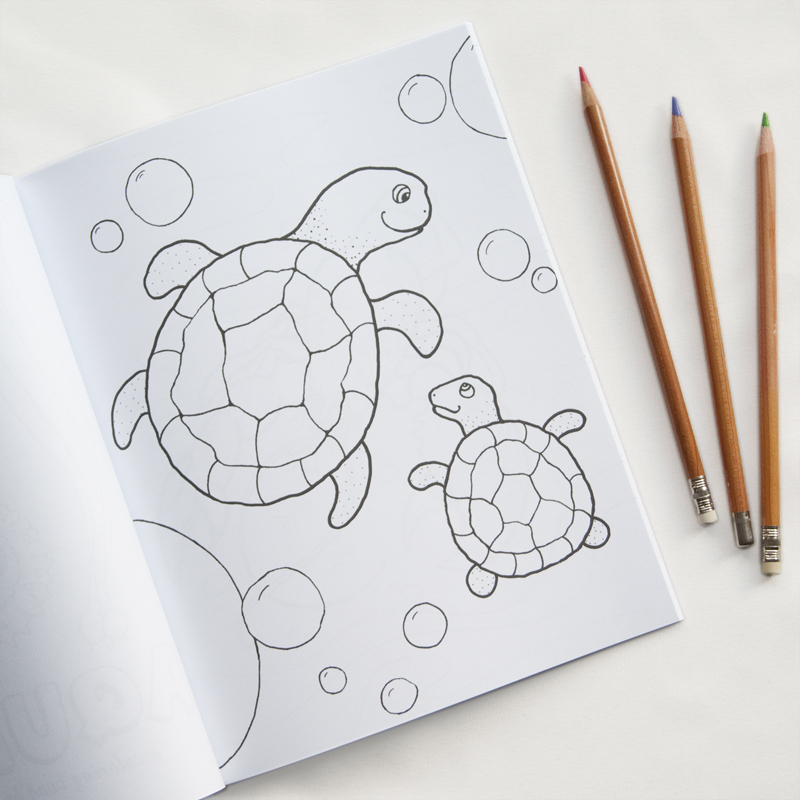 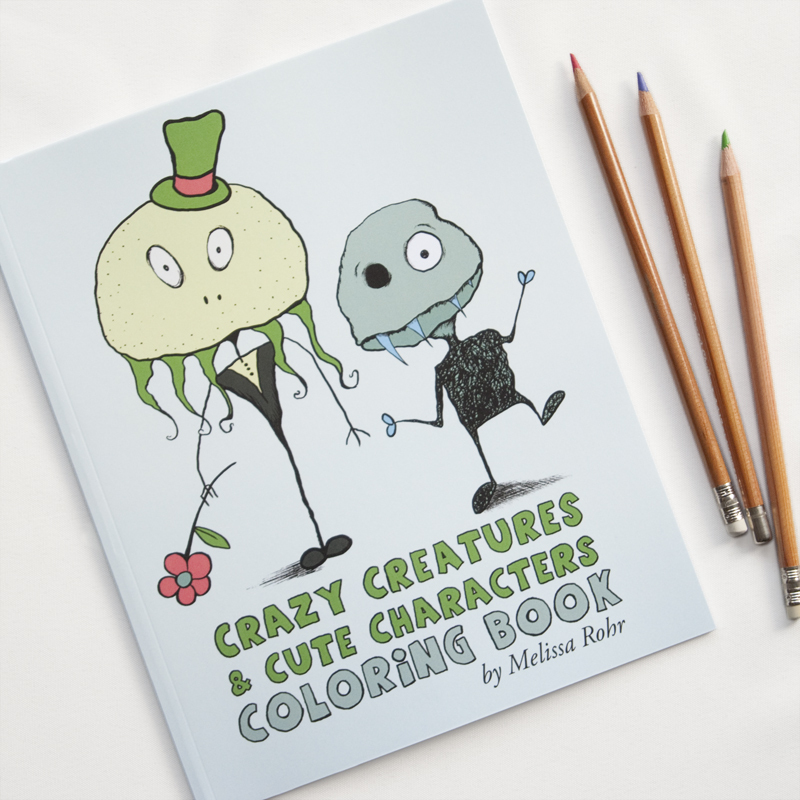 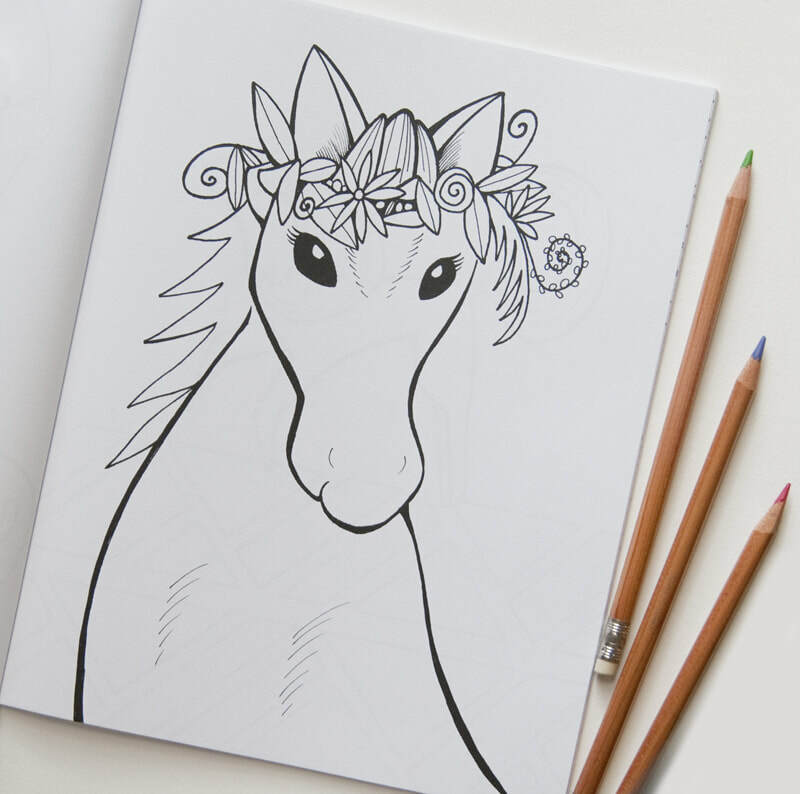 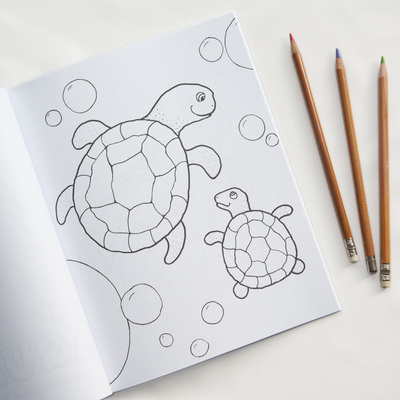 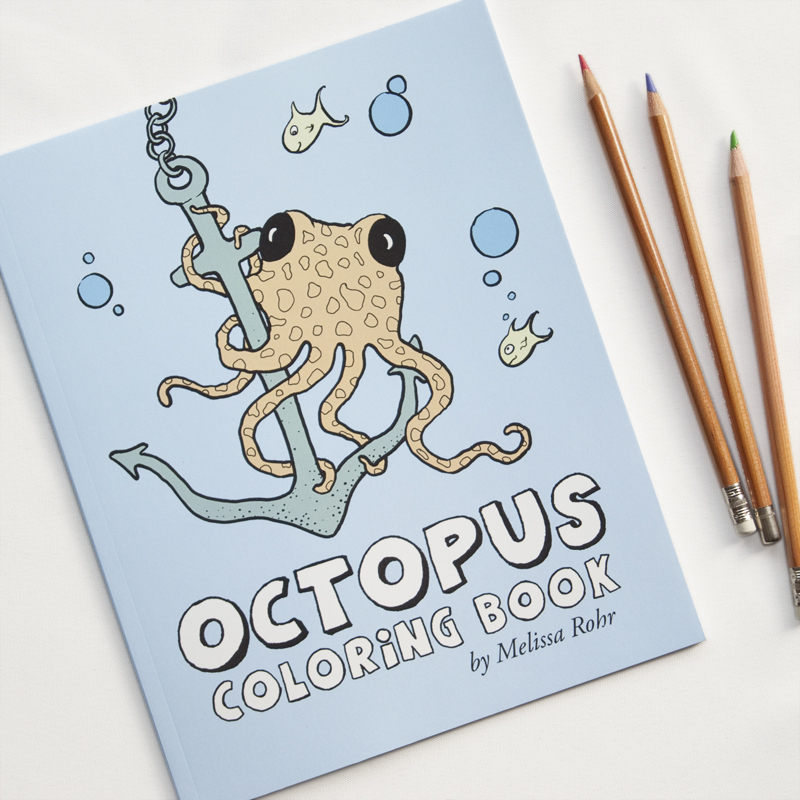 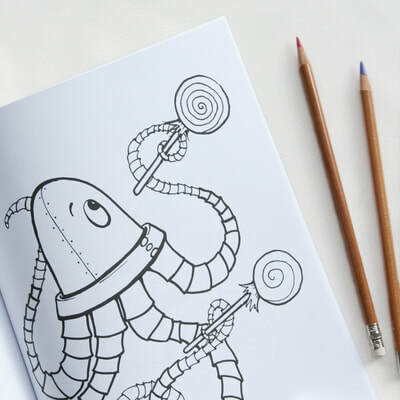 A collection of some whimsical critters, made into several coloring books. 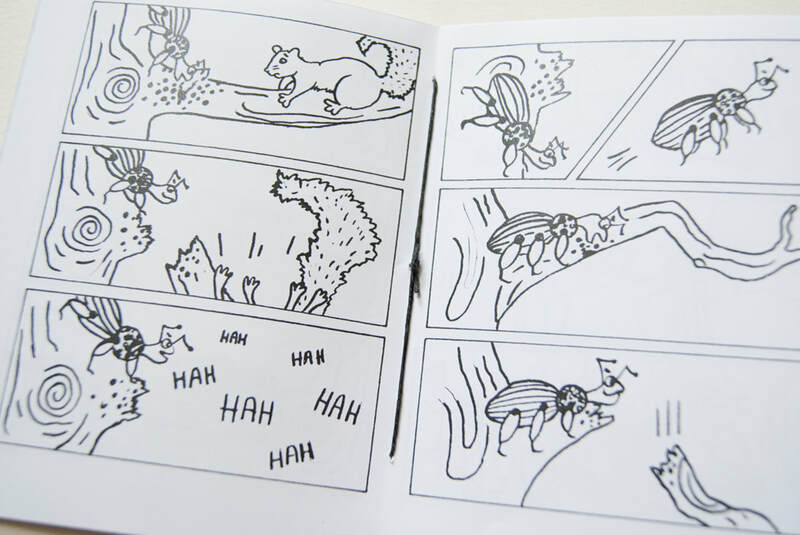 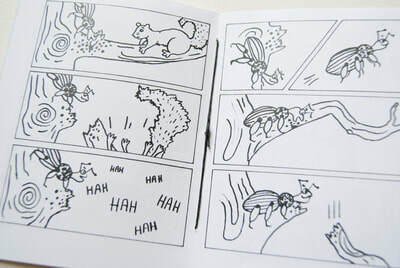 These two mini comic books were created with ink. 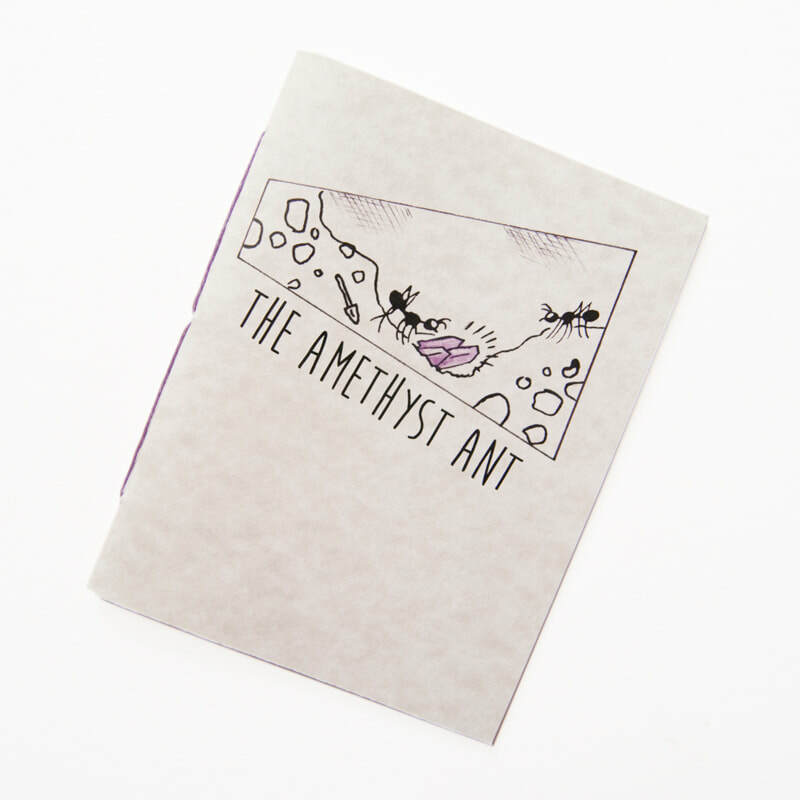 The Amethyst Ant follows a curious ant who discovers an amethyst. 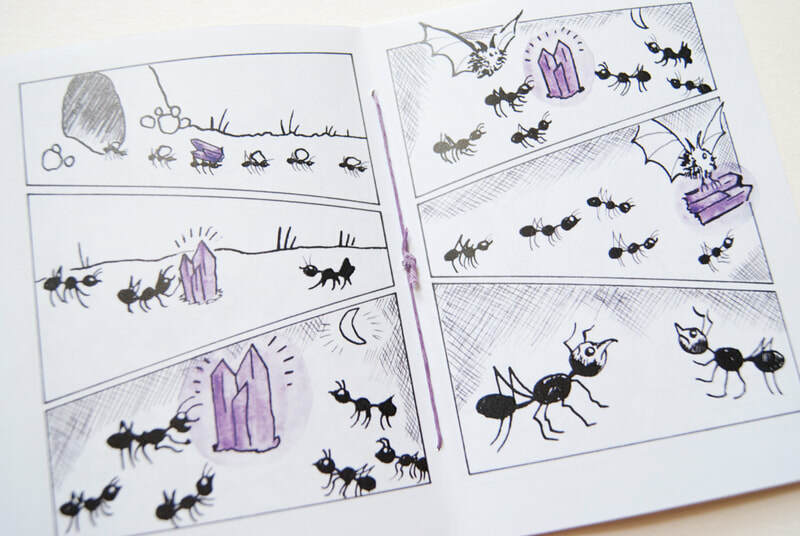 When the amethyst disappears, his friends must help him rescue it! 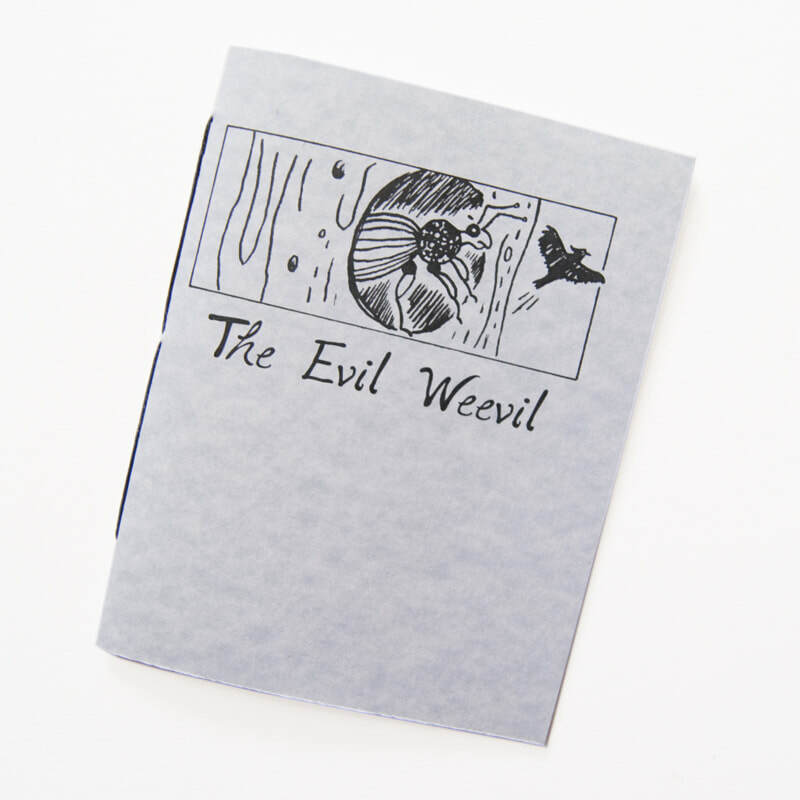 The Evil Weevil follows a sly weevil and his destructive journey throughout a tree. 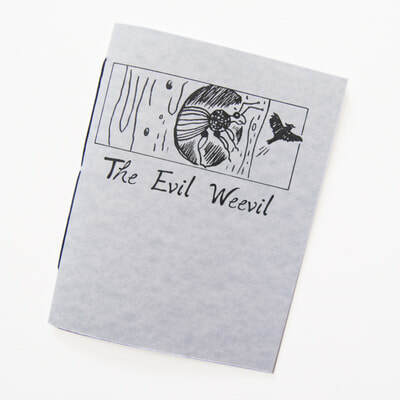 When the weevil wakes for the day, the other animals better watch out! 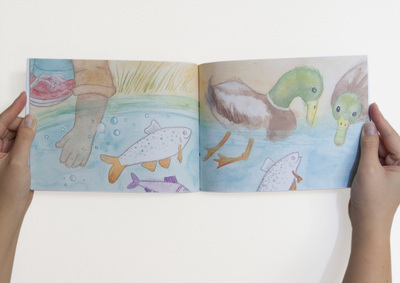 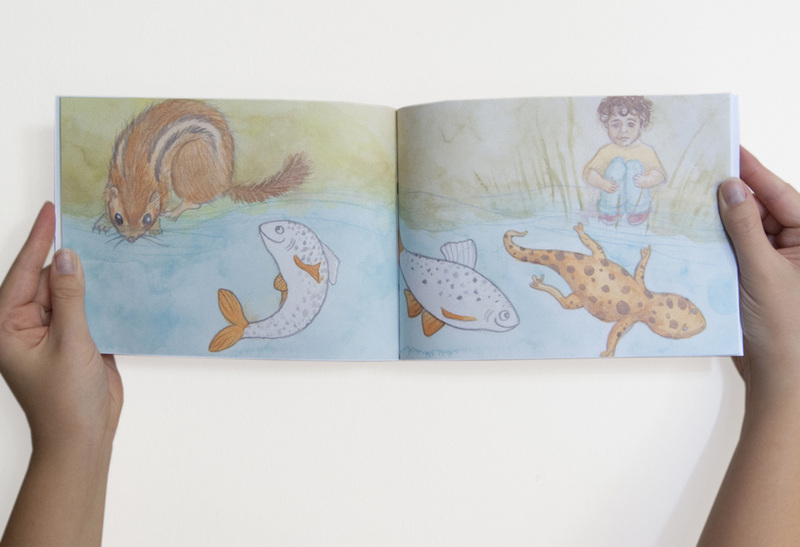 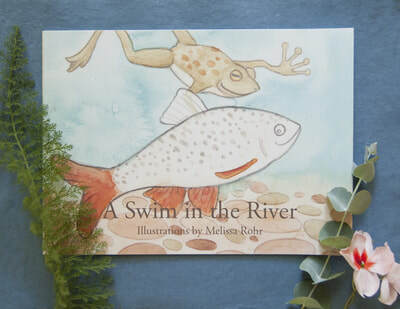 A Swim in the River follows the story of a little fish and his daily journey through a stream. 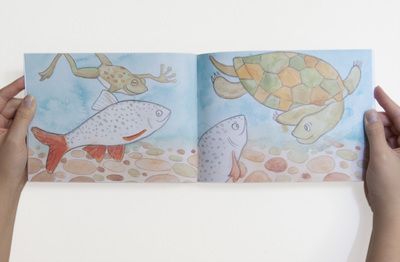 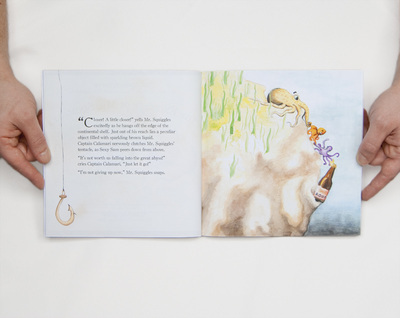 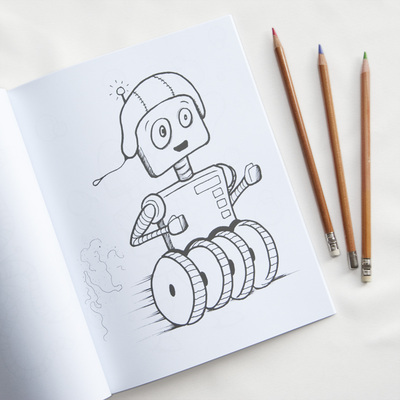 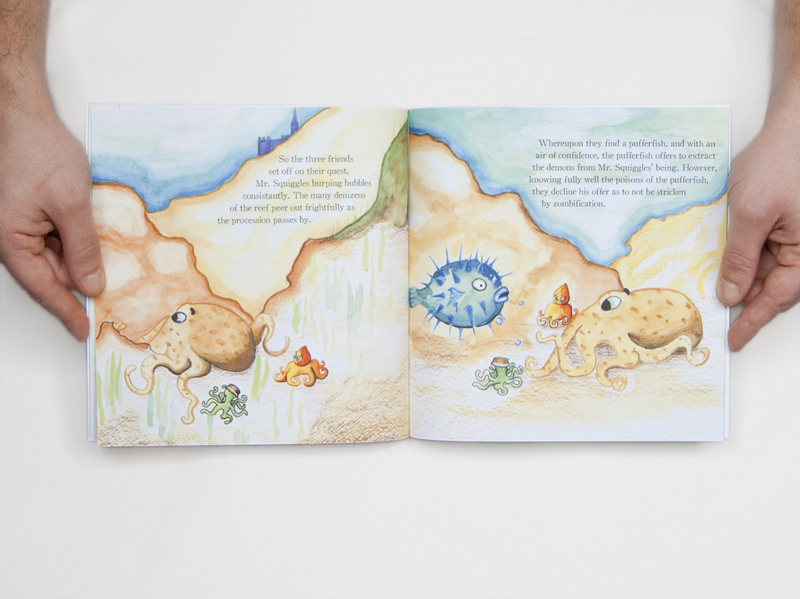 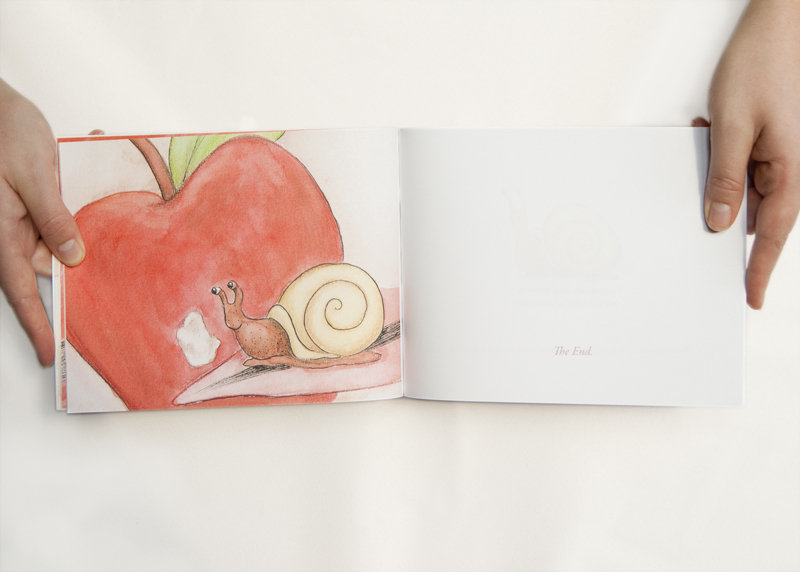 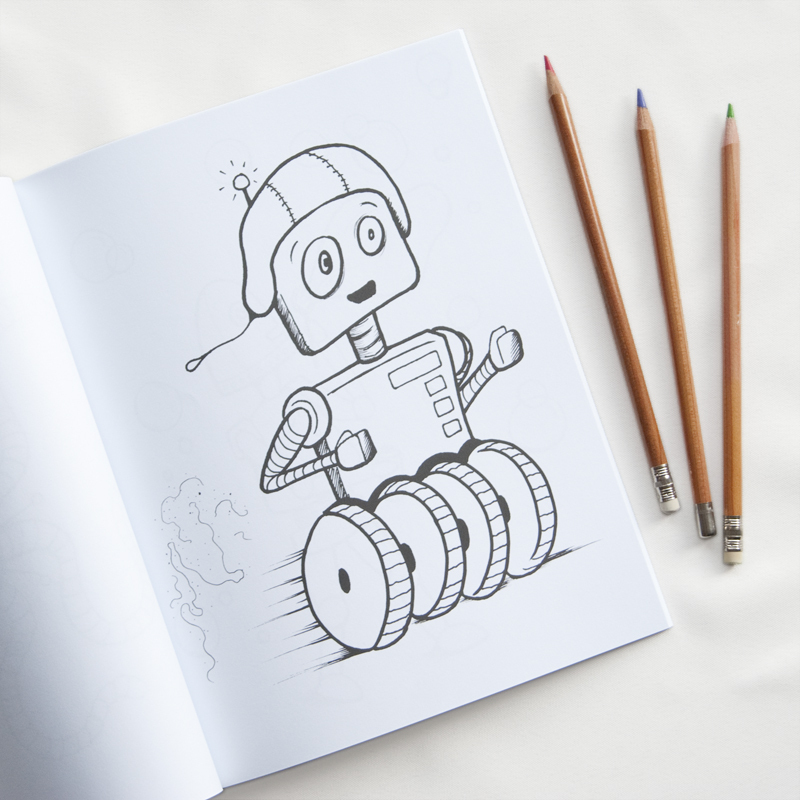 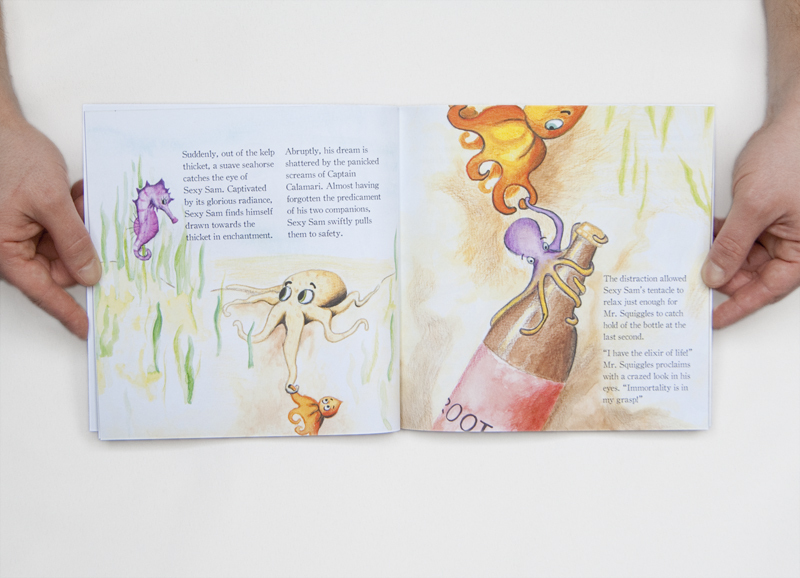 This picture book allows a young reader to engage with a narrative and come up with his or her own words while looking through the pages. 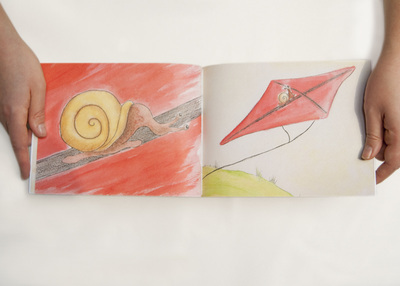 The Snail & the Kite follows a snail and his adventure with a kite. This picture book allows a young reader to engage with a narrative and come up with his or her own words while looking through the pages. A little chipmunk is having a rough day. 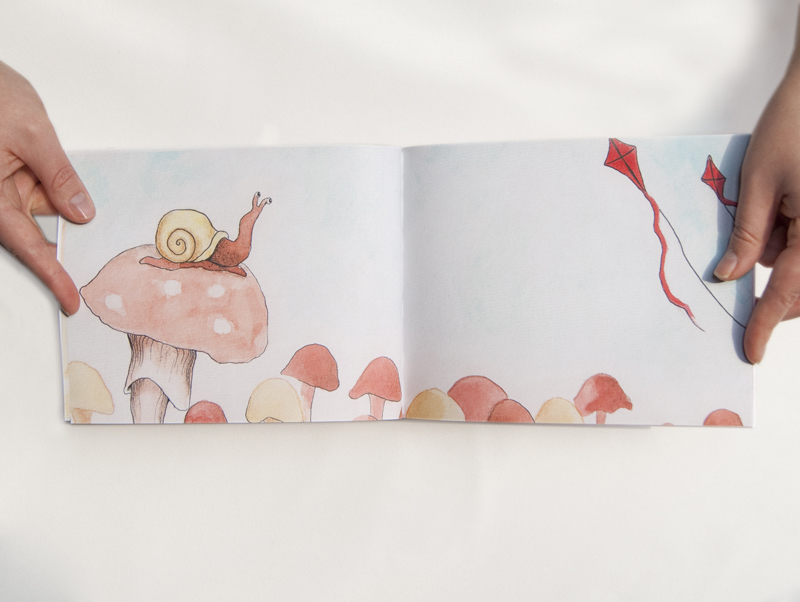 Illustrations created with watercolor and pen. 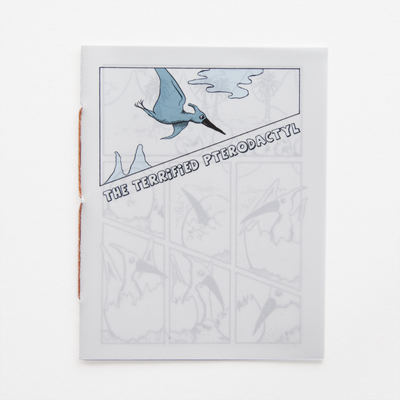 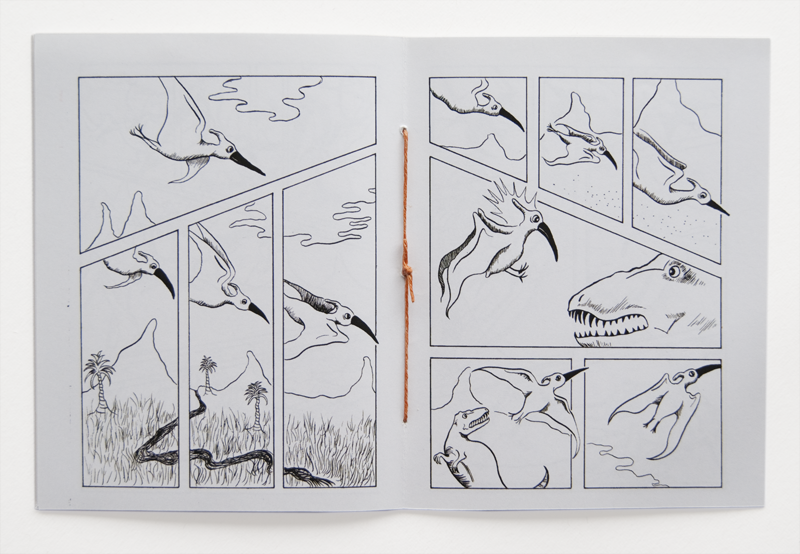 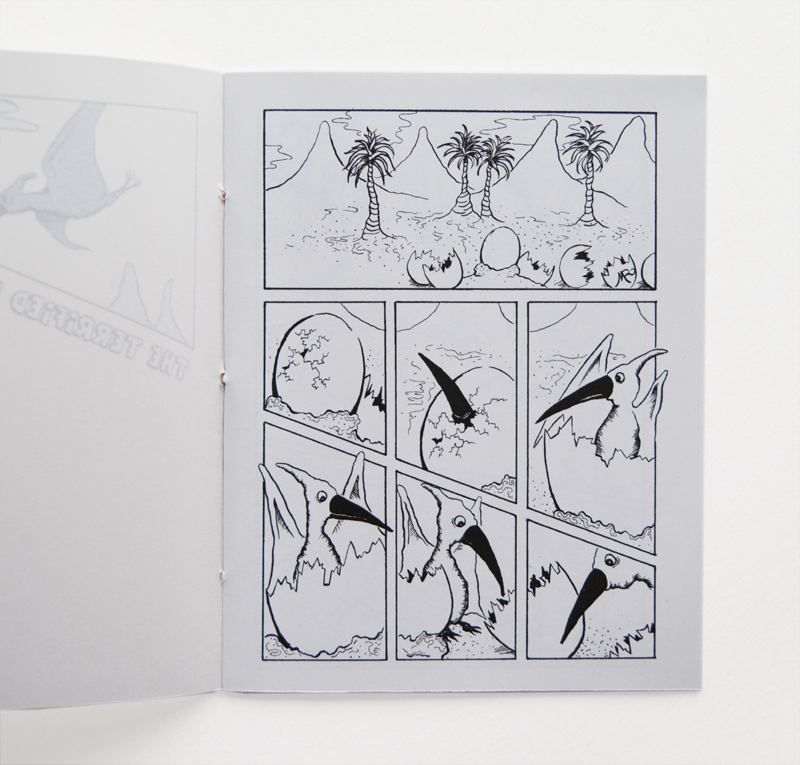 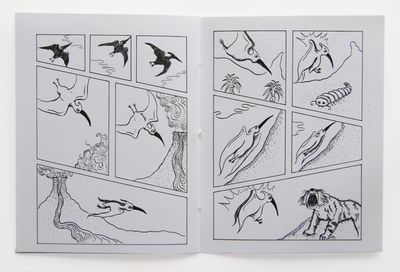 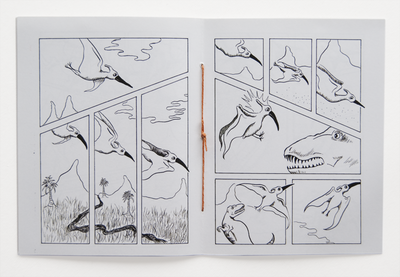 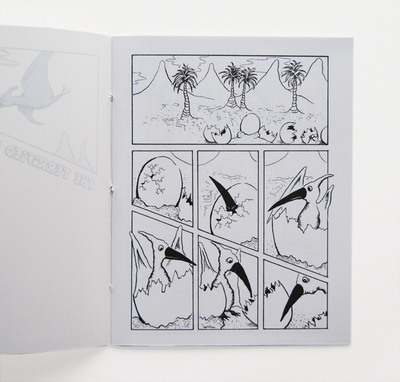 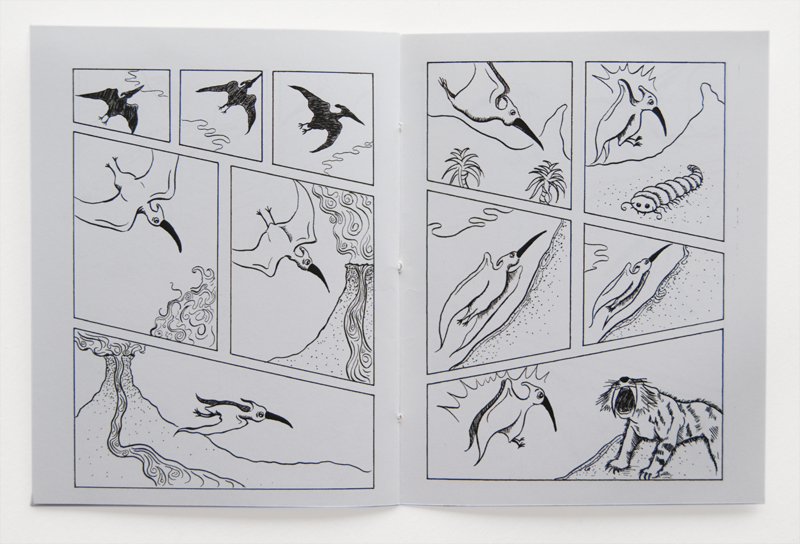 A mini comic book about a baby pterodactyl who keeps getting frightened. 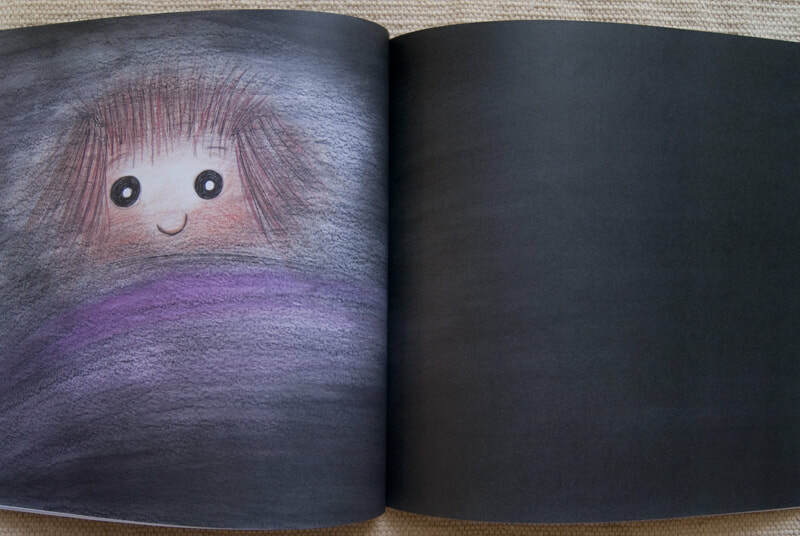 Illustrations created with ink. 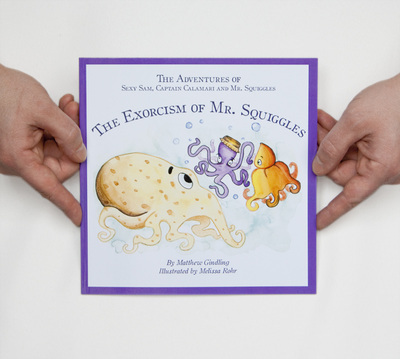 The Exorcism of Mr. Squiggles is a humorous tale of three unusual companions who came upon an object sent from the world above. 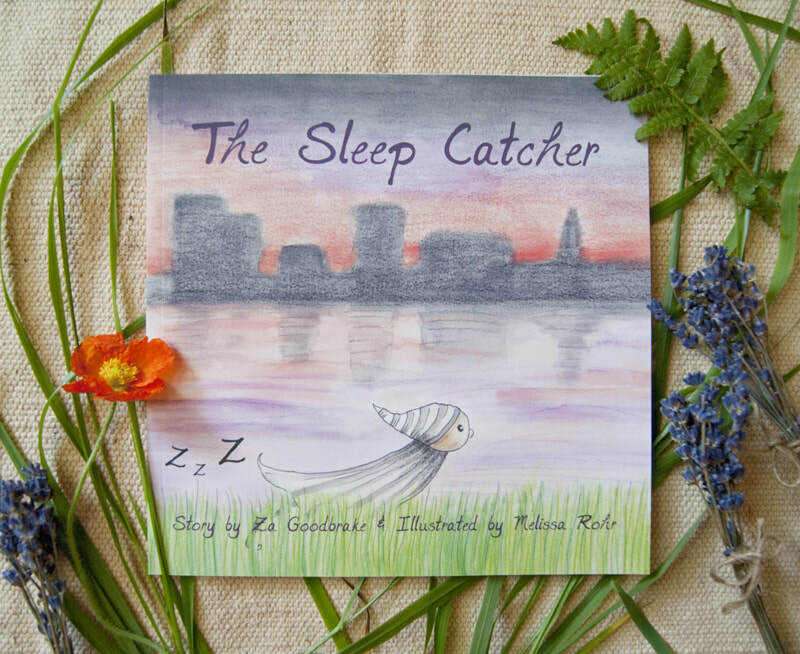 As an unknown illness takes hold of one of them, they must set out on a journey to find a cure. lllustrations created with watercolor, colored pencil and pen. 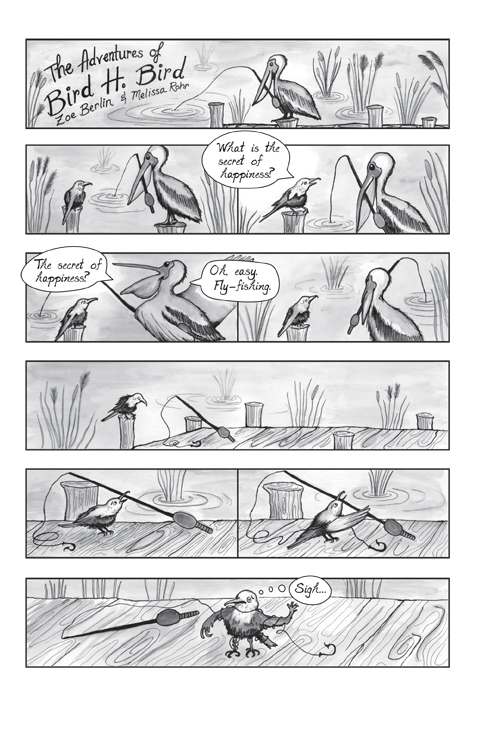 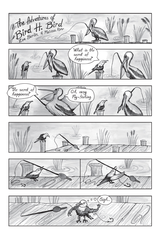 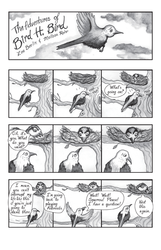 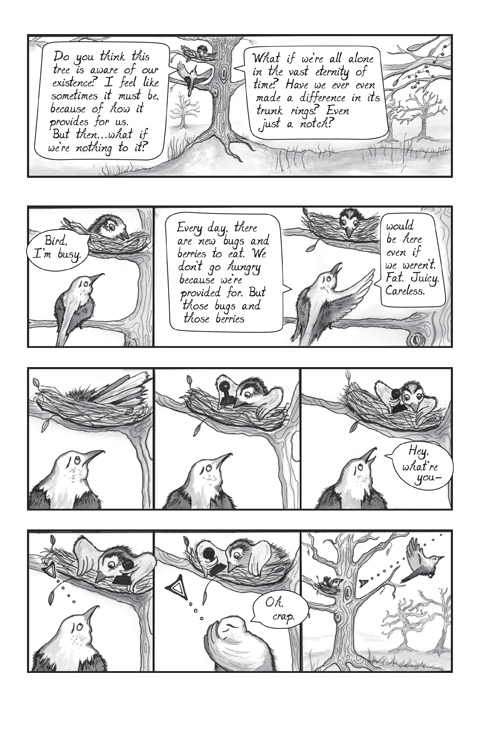 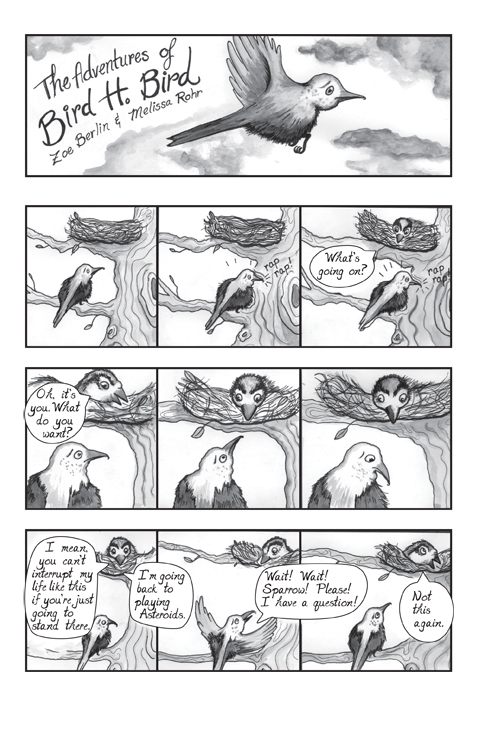 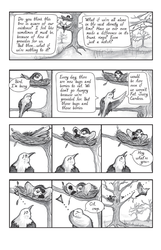 Chronicling the adventures of Bird, as he struggles to find meaning in life. 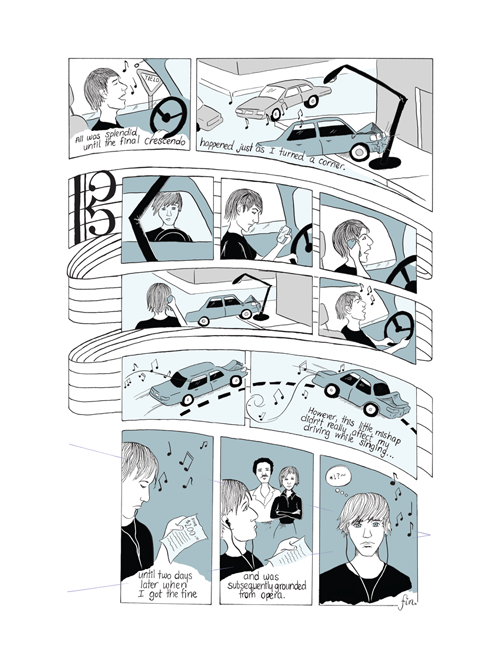 View all current strips here. 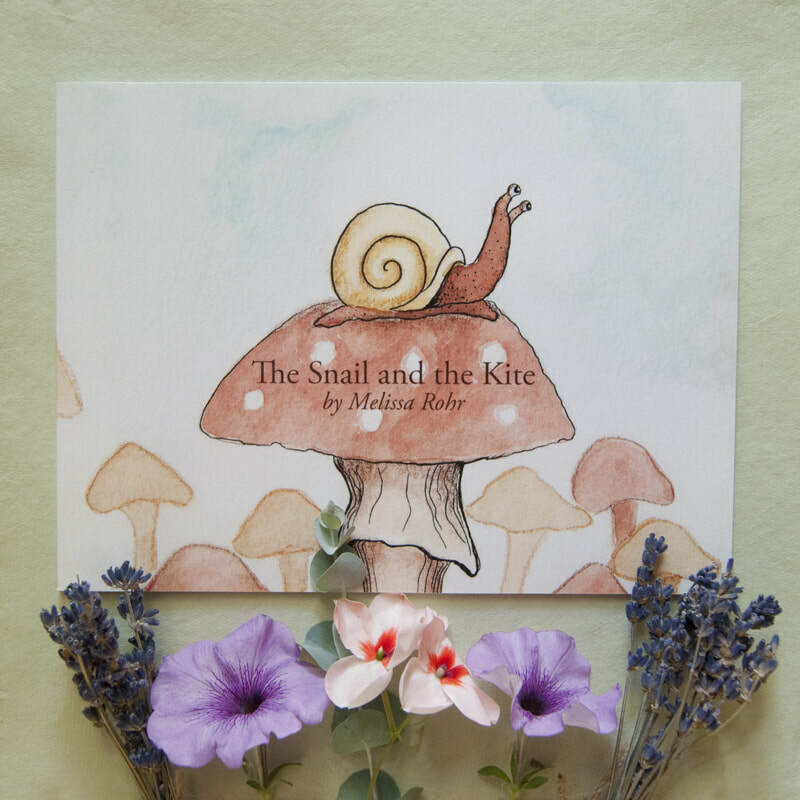 Illustrations created with pen and watercolor. 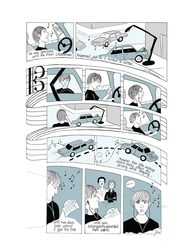 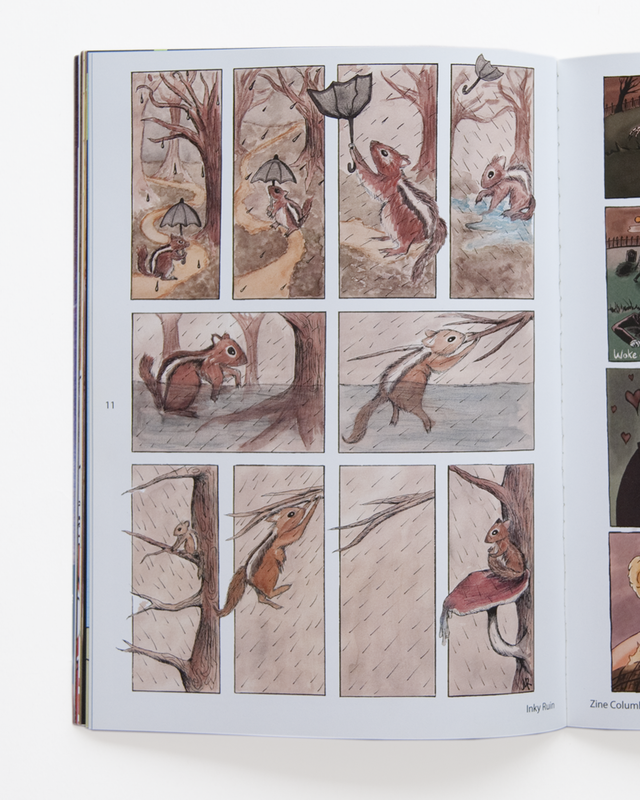 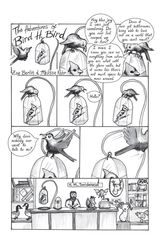 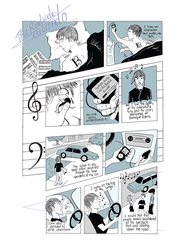 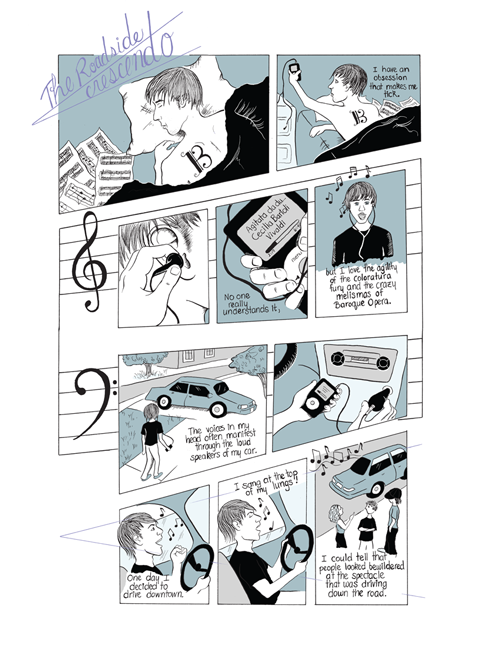 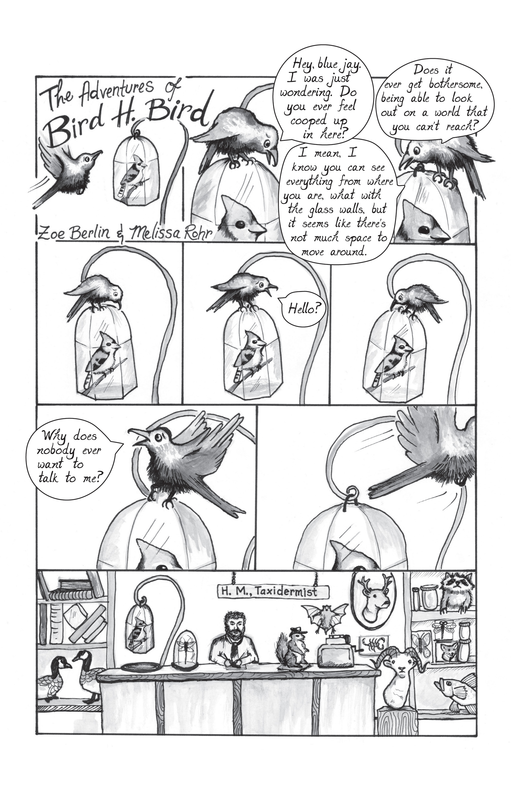 A two-page comic about someone with a bit of an obsession. Illustrations created with ink and digital color.